Digital Transformation” is a buzzword taking over a lot of tech companies in the Philippines and all over the world, but the use of technology to revolutionize how companies reach their customers isn’t unique only to tech giants. In celebration of Bancassurance month, BPI-Philam shares how fintech shouldn't just be at the fringes of the business and the customer journey, it should lead it. BPI-Philam saw the opportunity to modernize insurance selling practices through the Interactive Point of Sale (iPoS), a first in the life insurance industry. Every Bancassurance Sales Executive (BSE) is equipped with this technology to guide customers through the insurance process quickly and efficiently. "iPoS was birthed to replace bulky equipment and reduce physical paper trail documents for prospects and their transactions," said Christian Ventura, Head of Process and Systems Support for BPI-Philam. "Not only is the old way taxing for both BSEs and customers, it makes the customer journey difficult and riddled with error. This discourages insurance applications." The iPoS eliminates the need for physical application forms and papers. Every BSE in any BPI branch nationwide carries a tablet with the iPoS app. Through this app, the BSE can instantly access product information, assess the client's need and risk profile, and generate a suitable proposal and policy number efficiently. Once the policy is submitted the BSE can easily track the status of a client’s policy application through a dedicated web portal they can access anytime. iPoS also allows BSEs to capture, sign, and submit documents with ease through eSignature and ID Capture eliminating the need for photocopies. "The iPoS shortened the usual transactions that used to be manually inputted through a computer and jotted down on paper," Ventura said. "Upon our adoption of the portal, we saw an 80% improvement on the speed of policy application reviewing process. This means that most transactions made went straight through with less error and delay." Ventura also said that since its use, BSEs reported experiencing fewer rejections as customers were enticed to commit to acquiring insurance policies because of the convenience it offered. They were not required to return to their bank's branch nor were asked to repeat the entire transaction if there was a lack of certain requirements. Aside from helping in sales, the iPoS also helps its BSE improve and outperform their targets through an embedded activity monitoring module. The company followed this up with Interactive Client Assistance and Requirements eSubmission – (iCARE), an interactive iPad application which was engineered to aid BSEs in after-sales servicing. Through the app, customers can easily file for requests and other transactions regarding their policies with ease even offline. It also guides customers in telling them what necessary documents they need to submit at one point of the process. Prior to iCARE's adoption, there was an average 48% of unclean (incomplete, error-laced) policy transaction requests. Past 2016, this average dropped to a meager 6%. This means a faster rate of approval for new applications and any policy data change, providing customers with even more convenience. Both the iCARE and iPOS utilize 256-bit encryption to strengthen security measures against data privacy risks. Fraud is also minimized and deterred as transactions made by BSEs are tracked from start to finish. "This makes our BSEs literal one-stop shops for transactions while helping them improve and sharpen their skills," said Ventura. 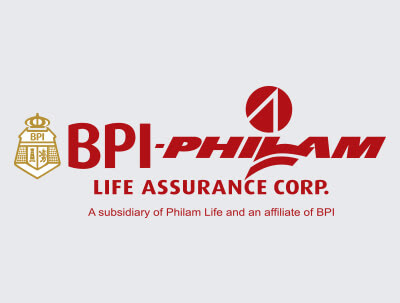 Extending the ease of access to insurance online, BPI-Philam also opened its first Facebook page to the public. "For this year's bancassurance month, we had surprises in each BPI branch for our customers, we’ve also recently launched a new platform through Facebook where we can reach them," said Menon. He underscored the importance of opening new channels to make themselves more accessible to customers and prospects who are digital natives and are expecting consistent customer care online. Experience ease in planning for the future, visit www.bpi-philam.com or better yet, drop by any BPI branch across the country to know more. Need help in taking your first steps to financial success? Check out www.facebook.com/BPIPhilamOfficial for tips, you can also send a message for additional assistance too!